The woman in the title of writer-director Kent Jones’ “Diane” is discovering the options in her life disappearing — which is a nice irony for a movie that introduces a not-so-young director and a veteran performer trying new things in their careers. 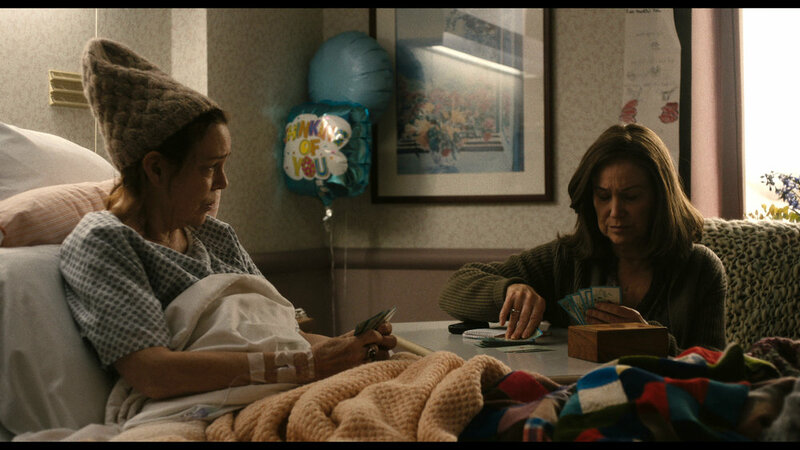 Mary Kay Place, a longtime second banana (“The Big Chill,” “Mary Hartman, Mary Hartman,” and so on) taking her first lead in a movie at 71, plays Diane, who spends her New England days helping others. She’s serving dinner at the homeless shelter, or she’s checking in on her ailing aunt Ina (Phyllis Somerville), or she’s at the hospital visiting her cousin Donna (Deirdre O’Connell), who’s suffering from cervical cancer. The other person Diane labors to help is her 30-something son Brian (Jake Lacy), a drug addict who won’t accept Diane’s help. All of this helping others, and driving around twisty New England roads to get from one errand to another, is wearing on Diane, physically and emotionally. But it’s also allowing her to avoid thinking back to her troubled past. Donna, in a moment of anger, reminds her of one such moment: When Diane left young Brian with Donna while running off with Donna’s boyfriend. Jones is a fixture in New York’s movie scene, a former critic who became programming director for the New York Film Festival at Lincoln Center. He’s also directed documentaries about film history (2015’s “Hitchcock/Truffaut” is particularly good), and works as an archivist for Martin Scorsese (who’s one of this film’s producers). This is Jones’ first narrative film, but he has the moves of a master, shifting tone with subtle moves, and venturing into dreamscapes that expose Diane’s desperation when she starts to lose the people she has been helping for years. Jones gathers a wealth of delightful senior actors around Place, including Estelle Parsons and Andrea Martin. But “Diane” is Place’s movie, and she pours everything into it, creating a wistful, humorous and ultimately heartbreaking portrait of thwarted dreams and fading realities.